Which chain do I need for my Brompton? Over time chains and sprockets wear out. Due to the workhorse nature of the Brompton and the fact that the drivetrain is closer to the ground than on larger bikes (it picks up more dirt / grit) they can wear even quicker. 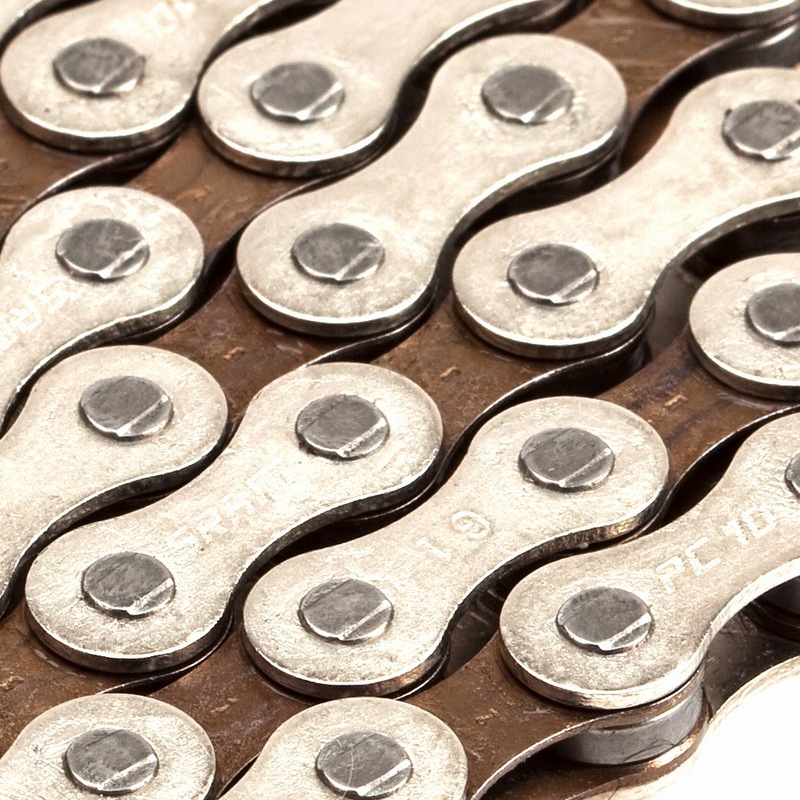 Choosing the correct chain for replacement can be confusing so we made this guide to help. But first - if you are replacing the chain or rear sprocket(s) then we recommend replacing both parts the chain and the sprocket. We describe it as an old married couple - they get comfortable with each other and wear at about the same rate. So remember - if you replace the chain alone then the chain may well slip - and the same if you replace just the chain. Check back for our next article on choosing the correct sprocket. How many teeth does your chain ring have? The first place to start is to count the number of teeth on the front chainring. Brompton supply them in 3 sizes: 44 teeth, 50 teeth and 54 teeth. If your Brompton is a single or 2 speed version, then chances are it has 54 teeth (as that's the standard) - but again the gearing may have been lowered. When you have made a note of this - count the number of sprockets (there should be one or two) and the number of teeth on the largest sprocket. Now you know the number of teeth on the front and rear - choosing the chain is quite easy! 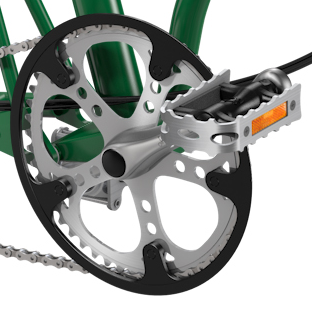 Since 2013 (we think that was the correct year), all new Bromptons have been equipped with the narrower 3/32 inch chain (which incidentally is easier to remove and install as it has a SRAM power link so no special chain tool is (normally) required. So, we will assume you are going to replace the sprockets - you are going to aren't you? That reduces the number of chains to choose from to four - and which of the four depends upon the sprocket and front chain ring combination as shown in the table below. And there you have it - all you need to choose your new shiny chain. Check back for part two - choosing the correct replacement sprocket. Is the guide to choosing sprockets available? I couldn't find it. Also, if changing to a 3/32 chain do other things need replacing? Chainring? Tensioner? Good question - sorry we seemed to miss that - working on it now!